I’ve seen first-hand on farm how many farmers pride themselves on taking good care of their animals. That is reinforced by the dairy sector’s commitment to animal care set out in the Dairy Tomorrow strategy. The goal? To be world leading in animal care. It’s a commitment I believe many farmers are working hard towards and something that attracted me to move from the US to be a part of the New Zealand dairy sector. I’ve been impressed by the number of you who have made changes to improve animal welfare on-farm, even before regulations came into place. Take tail shortening, for example. From this October, removing the last two-three vertebrae of a cow’s tail will be prohibited. A vet will still be allowed to shorten or dock a tail under local anaesthetic, if it is damaged or diseased. We know from our interactions with farmers that most of you have already stopped shortening tails a long time ago, which is great as it is painful for the cow, and extensive research shows it does not improve udder hygiene, or reduce mastitis and somatic cell count. Good hygiene, stockmanship and vaccination programmes have been found to be a much more effective option. A cow’s tail actually provides a range of benefits, including allowing her to swat away flies and communicate intentions and moods to herd mates and handlers. Trimming a cow’s tail hair, or switch, is allowed under the new regulations. This is a good option to help maintain udder health and keep cows’ udders and milkers’ faces clean, while still allowing cows to deter flies. Tails can be trimmed using hand shears, scissors or electric trimmers. It’s up to you and what works best for your farm system and team. For more information on tail trimming visit www.dairynz.co.nz/tail-management, or to find out more about the new tail shortening regulations visit www.mpi.govt.nz. One of the six commitments and goals in the sector strategy is: We will be world leading in on-farm animal care. • Develop and implement a Framework that ensures every animal is valued and treated with care and respect. • By 2023, achieve all farmers implementing and reporting under the Framework. 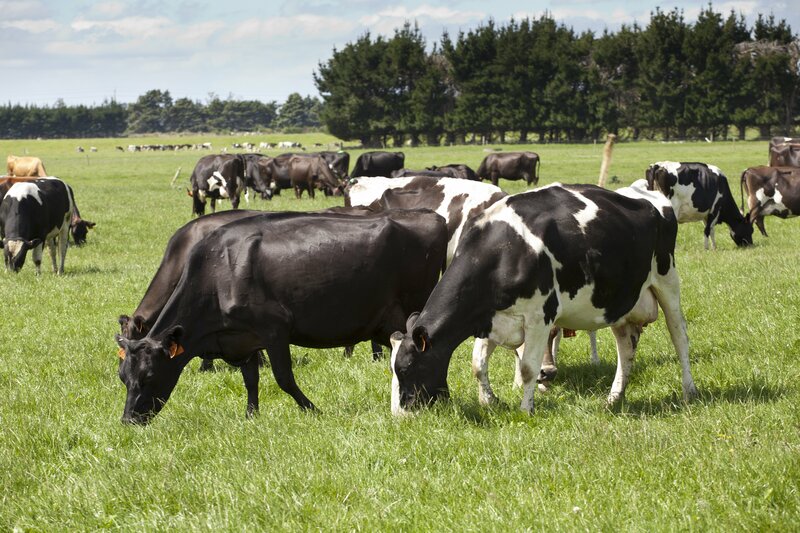 To find out more about the strategy, visit www.dairytomorrow.co.nz. Telford farm manager John Thornley has never shortened tails during his 17 years in dairy farming. Instead, he has always preferred tail trimming. He and his team trim tails three to four times a year. “We trim them after they calve as we find this is also another good indicator of which cows have already calved. It’s kind of like giving the cow a fresh start to the milking season,” says John. He finds this works well in preventing dags forming on the cow’s tail. “Quite often in wet weather dags can build up and cause infections and dirty the milking cups if their tails aren’t trimmed. “It’s not an arduous task. If you trim every second cow coming through the milking shed, you get it over and done in a couple of days for an average-sized herd,” says John. John and his team use a battery powered tail trimmer. He finds this quicker and easier than other methods. Depending on your budget, you should be able to pick up an electric trimmer for anywhere between $350 to $1000, he says. But keep in mind, you get what you pay for.